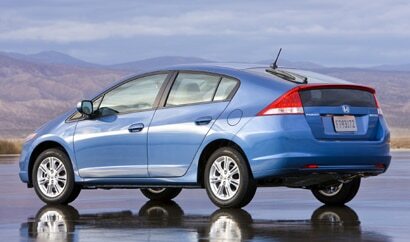 In short: A reasonably-priced hybrid sedan. While some go faster and some farther on a single tank, few hybrids can claim to be as affordable—or as much fun—as the brand new Honda Insight. Starting at under $20,000, this sporty hybrid sedan brings a somewhat bare-bones approach to the hybrid that has allowed Honda to significantly cut costs with minimal inconvenience (and loss of fuel savings) for the driver. And with the Insight's characteristic Honda handling and peppy acceleration, we're sure you'll appreciate the pleasant mix of fun and frugality.